Thinking of getting into real estate investing? You’re not alone, and that’s a good thing. You’ll need a lot of education and advice going forward. Unfortunately, the real estate industry is littered with failures. 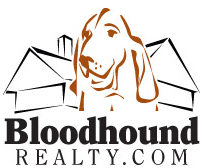 Bloodhound Realty is home to some of the most innovative and creative minds in real estate. Here, you’ll find commentary about the industry, alternative ways to invest in real estate, and basic money management advice. Oddly enough, it’s remained largely a niche blog with a cult following. The list of guest contributors reads like a who’s who of real estate. This blog teaches you how to rehab homes and fix them up for sale. The author, J Scott, blogs about his own experiences. The site is filled with walkthroughs, tips, and advice. He does sell some real estate-related stuff, but you can learn a lot from the free material. Paula invested in 6 rental units years ago. Today, she travels the world and lives life on her own terms. It’s an inspiring story that unfolds on the blog. It also offers you three different paths to success, depending on where you are now. If that wasn’t enough, her insightful, and sometimes controversial, commentary about real estate can’t be found on any other blog. 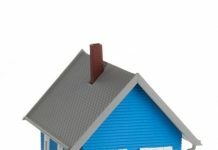 This real estate blog is a bit different from most. Set up in a Q&A format, it gives you answers to all of your burning real estate questions. You can submit questions, too, and have them answered on the show. Sean Gilliland sees himself as a real estate “sensei,” and spreads his Yin-Yang of real estate advice through his blog. His team of professional real estate investors will help you build a successful real estate empire. The blog is excellent. And, if that’s not enough for you, there’s always paid courses and seminars. There are numerous free resources on the site, insider tips, and a community where you can connect with other beginners. This blog makes the cut for its interactivity. Oddly enough, there’s a shortage of real estate blogs and sites out there with a tight-knit community. This happens to be one of them. 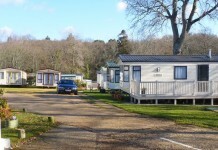 CT Homes focuses on giving you free advice, and caters to a variety of different homeowners. 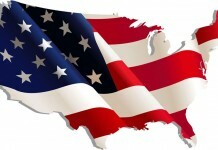 The company is more corporate than most, and they specialize in title issues, debt reduction and foreclosure avoidance. However, there’s good advice on the blog about dealing with realtors, buying your next home, and rehabbing homes for profit. Dean is known for his infomercial TV series. He sells books and opportunities for real estate investing, primarily to real estate investors (as you might guess). 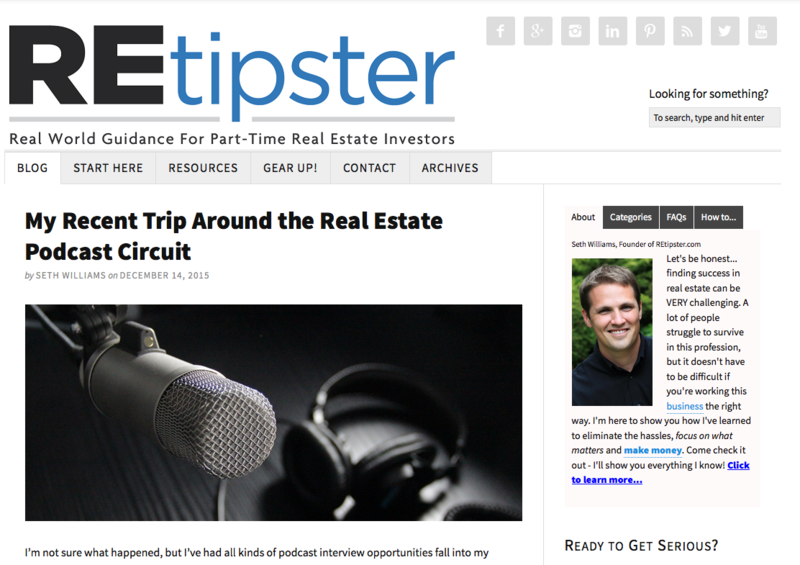 Graziosi’s blog is full of tips and insights from his own real estate investments. This company provides short-term lending to investors, and it spends a lot of time explaining why that’s a good way to invest in real estate. While the advice might seem a bit biased, considering the source, hard money lending is a valid way to buy real estate, and there are solid tips on buying and selling houses on the blog. 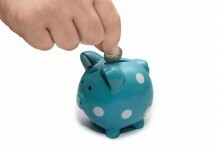 This blog focuses more on the fundamentals of real estate investing. It’s good for newbs and those that need a refresher. Don’s site is for Canadian investors, which is a rare thing in the blogosphere. 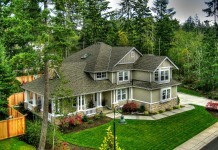 This site is dedicated to teaching real estate investors what they need to know to be successful. The blog is full of free information. And, if you want a real education in real estate investing, there is also an organized educational area where you can learn to buy, sell, and build up your real estate empire. This blog specializes in the wholesaling aspect of the real estate investing world. Steph’s success was build on a mountain of failures she personally experienced. If you’re living on Ramen noodles and tap water, you’ll find empathy here. But, you’ll also find a way out. 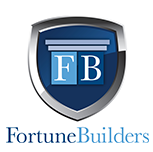 Fortune Builders is a huge site focused on real estate education. The blog is an extension of the business, which is designed to educate and empower real estate investors. There are traditional text-based posts here, but there’s also video. This site, created by Marco Santarelli, is highly focused on long-term income from rental properties. Where a lot of real estate blogs are all about the quick flip, this blog teaches you how to make the long sought-after “passive income”. Steve’s site is like a hidden gem. Most of the advice could be packaged as a case study. Starting in 2008, he’s built up a sizeable portfolio and posts frequently about the homes he’s bought, rented, and sold. There are over 92 homes in his collection, and video walkthroughs to show you what buying a fixing up a house is really like. Bigger Pockets is more than just a simple blog. It’s a networking platform you can use to connect with other real estate investors and professionals. There’s a fair bit of focus on education, but the real draw of this blog is the community. Jacob Grant Property Management is a great place to get marketing ideas for your real estate business. If you’re an investor, maybe you want help thinking of ways to market your rentals or how to be a successful landlord or mobile apps that will make your life easier. This is blog where you learn all of that and more. Luis writes “wealth steps” to demonstrate that building wealth is more about earning income than anything else. To this end, Luis walks you through various house flips and renos to show you what’s involved and the steps necessary to be profitable. The blog doesn’t appear to be actively updated but there is a wealth of legacy information that can be useful to a real estate investor. Brooks started out as a real estate investor because he was intrigued by the idea. His blog showcases his triumphs and failures so you can learn from his mistakes. This blog is a great resource if you’re looking for personal stories or you want to learn from a pro who’s been there. This blog, started in 2006, by Susan Lassiter-Lyons, was created to share her experiences and hard-won knowledge in the real estate industry. 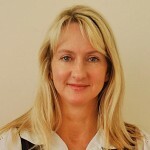 The blog is an excellent resource for real estate investing information and she offers coaching and webinars too. It’s geared toward the beginner. Joe Crump really struggled to get into real estate, but not before struggling even more in the film industry. He shares his trial and errors with you on his blog. This is a great resource if you’re just starting out and don’t know what to do or whom to trust. Who wants to be a struggling investor? No one, that’s who. The blog details Scott’s journey to become a full-time RE investor. He shares his knowledge and experience on the blog. Yet another great resource for beginners. Justin’s blog is different from most because it gives you information and insight from someone whose family is in the construction and real estate business. Rather than fumbling through the industry, Justin found real estate investing to be a natural fit. He offers sage-like advice for investors who are looking to get started. Tom and Nick started a real estate business completely from scratch. Today, they’re wildly successful, and their blog documents the trip. It’s also full of tips and stories that will help you as you make your way through this process. It’s a great blog if you live in Canada, since this is where they live and work (and, thus, their advice applies to Canadians). Instead of pitching you the same hyped strategies you’ve seen on late-night T.V., this blog walks you through how to make money through real estate investing the legit way. You don’t have to quit your job, or take crazy risks. You just have to be willing to invest blood, sweat, and tears (OK, maybe a bit of money too).